It has been requested that the title of this article be changed to 2018 Buddhist-Muslim riots in Sri Lanka. Please see the relevant discussion on the discussion page. Do not move the page until the discussion has reached consensus for the change and is closed. The 2018 Buddhist-Muslim riots in Sri Lanka are ongoing religious and ethnic riots in Sri Lanka that occurred in Ampara on 26-27 February 2018, and in the wider Kandy District from 2 March 2018 onward. 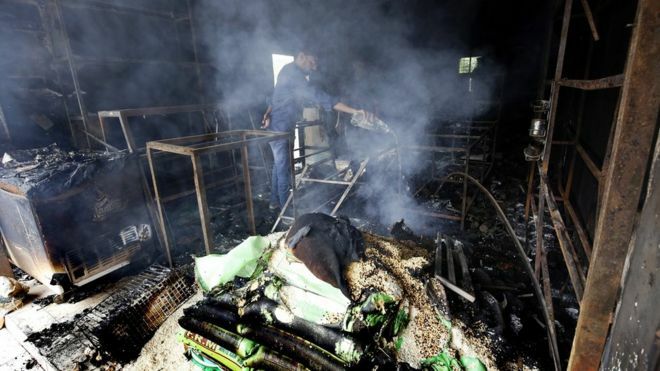 Muslim citizens, mosques and other properties were attacked by mobs of Sinhalese Buddhists, leading to 5 non-fatal casualties in Ampara, and at least two confirmed deaths in the Kandy District. The riots in the Kandy District began in Udispattuwa and Teldeniya, later spreading to Digana, Tennekumbura and other areas. The attacks in Kandy stemmed from an assault related to a road accident (and the death of a victim of the assault) which later turned into a sectarian incident. The riots, the first large scale Buddhist-Muslim altercations since smilar events in 2014, prompted the Government to declare a State of Emergency for a period of ten days, the first such instance in seven years since 2011. This followed a curfew imposed on the Kandy District immediately following the incident, which saw widespread property damage and destruction. Social media networks including WhatsApp, Facebook, Twitter and Instagram have been blocked in parts of the country in an effort to prevent mobs from organizing their attacks and spread propaganda. Sri Lanka has seen several racially-charged incidents between the majority Sinhala community and the country's Muslim minority. Ampara District had experienced tensions since 2017, with Buddhist groups accusing Muslims of forced conversions and vandalising Buddhist archaeological sites. On 26 February 2018 during the midnight time it was revealed that some group of youngsters went to a restaurant which is situated in the vicinity of temple junction in Ampara town (on the D.S Senanayake Street) and had ordered food items including Parotta for dinner. But the gang of youngsters have flared up after some tablets found in a meal served by a wayside restaurant. The video of the scared Muslim restaurant owner admitting to putting sterilization pills was shared through social media. Later on the youngsters argued and quarrelled against the owner of the restaurant and the attack was launched by the specific mob further spreading the rumour that a Muslim restaurant in the Ampara town has been using sterilization pills continuously on the food items. While the police arrested the restaurant owner as a result of the video the claim was proven to be false and the owner only nodded his head in fear of the angry gang and not knowing the actual meaning of the Sinhala word 'wandapethi' meaning sterilization pills. At 2 PM on 22 February 2018, a Sinhalese lorry driver from Ambala, Medamahanuwara was subjected to an assault by four Muslim youths in Karaliyadda, Teldeniya. The victim was admitted to the intensive care unit of the Kandy General Hospital and died on the night of 2 March from his injuries. The victim's assistant (also traveling in the lorry) was assaulted, admitted to hospital, and later discharged after treatment. The motive behind the attack has not been clearly established, with some reports stating it stemmed from an auto accident where the trucker had damaged the wing mirror of an auto rickshaw the assailants had been travelling in while attempting to overtake it; all four suspects were reported to have been intoxicated. The suspects were arrested by the Sri Lanka Police on the day of the attack and remanded until 7 March. An angry mob had launched attacks on several shops in the surrounding area of Ampara. The mob also demolished an important book. Further, hotels which were located near to the moque were also attacked by the youngsters with the police finding it difficult to bring the situation under control. Thereafter, police reinforcements had been rushed from nearby police stations and the mob dispersed with the assistance of STF. The first signs of violence were reported from Udispattuwa on the night of 2 March as the body of the victim was being taken to Ambala. Groups set light to tires on the road as a sign of protest against the killing; the police, anticipating violence, deployed 1000 Special Task Force personnel in and around the area, encompassing Moragahamula, Udispattuwa, Teldeniya and Ambagahalanda. Despite these efforts, two Muslim-owned shops in Moragahamula were subjected to arson on the night of 4 March- 28 suspects were arrested for their involvement. General disorderly behaviour and assorted violence associated to the killing by the residents of Teldeniya and outlying areas were also reported. The unrest spread to Digana on the morning of 5 March, when a large mob converged on the town, setting fire to a mosque, shops and houses. In response, police used tear gas and water cannons in an attempt to disperse the crowd, which saw retaliation from the mob through various projectiles while the violence spread to more residences, shops and nearby vehicles. 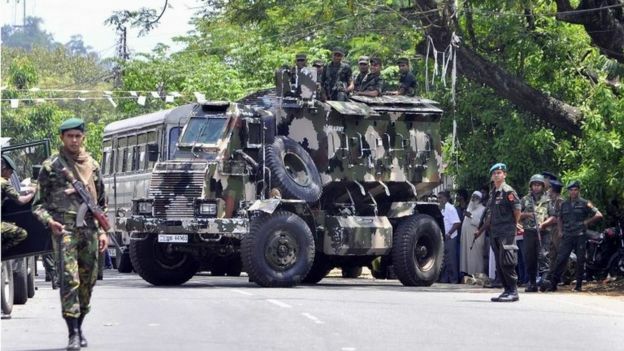 Traffic along the A26 was forced to a halt, and by 3 PM, the police requested the support of the Sri Lanka Army, which deployed 200 troops from the Sinha Regiment base in Digana in the evening. The police then followed up by declaring a state of curfew district-wide in Kandy until 6 AM on the 6 March; the same curfew was reimposed on Teldeniya and Pallekele at 8 PM on 6 March, after the body of a 24 year old Muslim male was discovered within the remains of a shop in Digana. By the evening of 6 March, a total of 4 mosques, 37 houses, 46 shops and 35 vehicles were damaged or destroyed as a result of the riots in both Digana and other locations in the Kandy District; 1 confirmed fatality was reported. On the night of 6 March, mobs were observed in Lewella and Balagolla, moving towards Tennekumbura and the general direction of Kandy- an arson attack on a mosque in Tennekumbura was reported. High ambulance activity was reported from Menikhinna, and 7 people were arrested there for disorderly behaviour and for causing unrest. The curfew put in place on the evening of 6 March was lifted briefly on the morning of the 7th, but soon reimposed. 7 March also saw Muslim residents of Mullegama barricading themselves inside a local mosque after a Sinhala mob attacked their homes alleging theft of a donation box from a nearby Buddhist temple; the Muslims accused the police of inaction in the face of the mobs. One Sinhala male was reported to have died and another injured in an explosion of unknown origin in the course of the Mullegama attacks- a reaction that a Buddhist monk at the Mullegama temple said was precipitated by a projectile attack against his temple by Muslims earlier in the day. Katugastota also saw anti-Muslim violence and arson, while a mob assembled in the Ambatanna town center after a rumor of a temple being attacked: the mob then proceeded to damage property and engage in rioting. Sri Lankan professionals debunked the existence of pills that can sterilize a person. Obstetricians and Gynaecologists denied that pills can cause permanent sterility and stressed the need of surgical procedures such as vasectomy on males and tubal ligation surgery on females to cause permanent sterility. Director General of Health Services Dr. Anil Jasinghe also released a statement denying the existence of a method to sterilize a person through pills. Lecturer at the Melaka Manipal Medical College in Malaysia, Sri Lankan Dr. Mohamed Najimudeen has even offered a prize of Rs. 1,000,000 to anyone who can prove sterilization medicines are being added to clothes or food in the country by various individuals. Further the health minister, Rajitha Senaratne also mentioned that there are no such medicines ever discovered to sterilize a male. Sociologist and Senior Lecturer, Department of Sociology and Anthropology, University of Jayewardenepura, Dr. Praneeth Abeysundara and Professor of Sociology, University of Sri Jayawardenapura B.A. Tennyson Perera called for authorities and media to create awareness among the public and create dialogues among community leaders and clerics to counter such paranoia. The Government urged calm on 5 March, while the Ministry of Education ordered the closure of schools in the Kandy District. It also imposed a State of Emergency (the first since 2011) over the country on 6 March for a period of 10 days, granting the state powers to arrest and detain suspects indefinitely, and deploy armed forces at its will. The CID was tasked with an investigation into the event and its background. The police came under heavy criticism for its failure to impose order and its alleged hesitation in preventing property damage at the start of the riots. Several government and opposition MPs criticized the police and its decision-making, while others called for calm and harsh punishments to perpetrators of racially-motivated violence. A group of Sinhala Buddhist citizens and Buddhist clergy held a protest outside the Digana police station on 6 March demanding the release of all suspects arrested for their involvement in the riots.The government and the opposition party Janatha Vimukthi Peramuna alleged an organized, political effort to inflame sectarian tensions in Kandy. The Bodu Bala Sena, at the center of the 2014 riots, accused the public of unfairly linking it to incidents of communal violence in the country; BBS Secretary General Galagoda Aththe Gnanasara visited the assault victim's home on 4 March, and claimed he had urged residents of the area to remain calm. 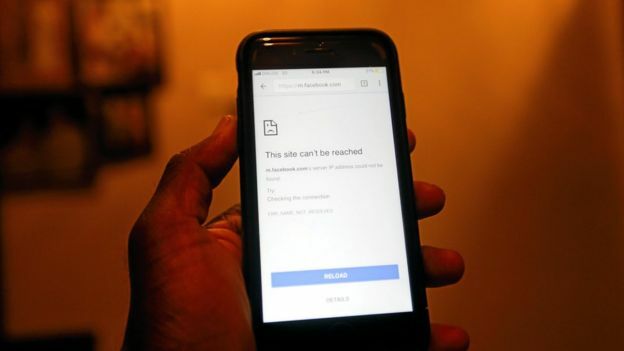 In an effort to prevent mobs from organizing online through social media platforms, internet access to the Kandy District was restricted by order of the Telecommunications Regulatory Commission (TRC). Access to Facebook was blocked, and the Ministry of Defence instructed the TRC to report on individuals spreading hate speech on social media platforms. The Centre for Policy Alternatives, a think-tank based in Colombo, released a statement claiming videos containing "false information" that sought to incite sectarian violence were going viral online. Sri Lankan iconic cricketers including Kumar Sangakkara, Mahela Jayawardene and Sanath Jayasuriya have strongly condemned the situation and had requested the general public to join hands together inorder to make the country unite again. Australia, Denmark, Norway, the United Kingdom and the United States issued travel advisories warning their citizens to remain vigilant, avoid large crowds and protests, and to follow instructions by local authorities. Turkey: The Turkish Ministry of Foreign Affairs released a statement that expressed concerns over the violence, saying "the Sri Lankan government will take the necessary steps to ensure that different religious and ethnic communities continue to live together in peace across the country." The ministry also offered condolences to the families of victims killed in the riots. United Nations: The UN condemned the attacks, calling for a quick resolution of the situation in a statement released on 7 March- "The United Nations urges authorities to take immediate action against perpetrators and to ensure that appropriate measures are swiftly taken to restore normalcy in affected areas". UN spokesperson Stephane Dujarric said, "We are obviously concerned over reports of the ongoing communal violence and we welcome the government's commitment to addressing the tensions and achieve reconciliation. We urge all Sri Lankans to resolve their difference through dialogue." The opening match of the 2018 Nidahas Trophy, a Tri-Series cricket tournament between Sri Lanka and India was held under tight security coinciding with the tense situation in the nation following the declaration of the state of emergency. Jump up^ "Ampara tense following attack on shop and mosque – Colombo Gazette". colombogazette.com. Retrieved 2018-02-28. Jump up^ "Ampara tense following attack on shop and mosque | The Sunday Leader". www.thesundayleader.lk. Retrieved 2018-02-28. Jump up^ "Sri Lanka declares emergency to quell anti-Muslim riots". nation.com. The Nation. 7 March 2018. Retrieved 7 March 2018. Jump up^ "Sri Lanka declares state of emergency after Buddhist-Muslim clash". Reuters. Retrieved 2018-03-07. Jump up^ "Sri Lanka Declares State of Emergency After Mob Attacks on Muslims". Retrieved 2018-03-07. Jump up^ Press, Associated (2018-03-07). "The Latest: Sri Lanka orders social media networks blocked". Washington Post. ISSN 0190-8286. Retrieved 2018-03-07. Jump up^ "Social media blocked: TRCSL". Retrieved 2018-03-07. 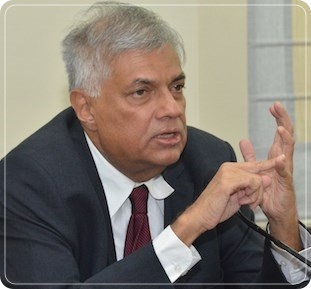 Jump up^ "Access restricted to certain social media: Minister - Daily Mirror - Sri Lanka Latest Breaking News and Headlines". b.marfeel.com. Retrieved 2018-03-07. Jump up^ "Buddhists, Muslims clash in Sri Lanka - Khmer Times". Khmer Times. 2018-02-28. Retrieved 2018-02-28. ^ Jump up to:a b c d "Tension in Ampara after fake 'sterilization pills' controversy". Sunday Observer. 2018-03-03. Retrieved 2018-03-06. Jump up^ "Anti-Muslim Assaults In Ampara: Police On Alert To Prevent Sinhala-Muslim Clashes". Colombo Telegraph. 2018-02-27. Retrieved 2018-02-28. Jump up^ Lanka, Gamini Gunaratna, Sri Lanka News Paper by LankaPage.com (LLC)- Latest Hot News from Sri. "Sri Lanka : Muslim shops attacked in Buddhist-Muslim clash in Sri Lanka\'s East, security strengthened in Ampara". www.colombopage.com. Retrieved 2018-02-28. Jump up^ "Mosque vandalized in Ampara". www.aljazeera.com. Retrieved 2018-02-28. ^ Jump up to:a b "Outside group has created violence: PM". dailymirror.lk. Daily Mirror. 6 March 2018. Retrieved 6 March 2018. Jump up^ Thomas, Kavindya Chris (6 March 2018). "Following death of assault victim Violence erupts in Teldeniya Curfew in effect till 6 a.m." ceylontoday.lk. Ceylon Today. Retrieved 6 March 2018. ^ Jump up to:a b c Kuruwita, Rathindra; Wimalasurendra, Cyril (5 March 2018). "Troops deployed to quell violence". island.lk. The Island. Retrieved 6 March 2018. ^ Jump up to:a b c d e f "Muslims in Digana Closed Their Businesses and Stayed at Home on Police "Advice" But Sinhala Mobs Looted and Torched 27 Deserted Shops,;At Least One Mosque and Some Houses Also Damaged". DBS Jeyaraj. dbsjeyaraj.com. Retrieved 6 March2018. ^ Jump up to:a b c d e f Kuruluwansa, Asela; Imtiaz, Zahra (5 March 2018). "Curfew Declared in Kandy District: 200 Sinha Regiment Soldiers and 1000 Special Task Force Personnel Deployed as Police Fail to Control Anti-Muslim Violence". dbsjeyaraj.com. DBS Jeyaraj. Retrieved 6 March 2018. Jump up^ "Tension in Ampara town". Retrieved 2018-02-28. Jump up^ shanika. ", shops attacked in Ampara town". Retrieved 2018-02-28. Jump up^ "Mosque Vandalized In Ampara". Malaysian Digest. Retrieved 2018-02-28. Jump up^ "Shops, mosque damaged in Ampara | FT Online". www.ft.lk. Retrieved 2018-02-28. Jump up^ "Sunday Times - Tense situation in Ampara brought under control". www.sundaytimes.lk. Retrieved 2018-02-28. Jump up^ "Twenty four arrested for igniting Teldeniya shop". dailynews.lk. Daily News. 6 March 2018. Retrieved 6 March 2018. ^ Jump up to:a b c "Kandy Tense as Mob Spreads to Digana". Hiru News. Asia Broadcasting. 5 March 2018. Retrieved 6 March 2018. ^ Jump up to:a b c "Sri Lanka violence: State of emergency declared over attacks". bbc.com. BBC. 6 March 2018. Retrieved 6 March 2018. Jump up^ "Police curfew declared in Kandy district". sundaytimes.lk. Sunday Times of Sri Lanka. 5 March 2018. Retrieved 6 March 2018. Jump up^ "Curfew re-imposed in Teldeniya and Pallekele areas". colombogazette.com. Colombo Gazette. 6 March 2018. Retrieved 6 March 2018. ^ Jump up to:a b c Silva, Manushi (7 March 2018). "Police curfew in Kandy administrative district re-imposed". adaderana.lk. Ada Derana. Retrieved 7 March 2018. Jump up^ "Anti-Muslim Assaults: Sinhalese Mobs Ignite Kandy For Second Night". colombotelegraph.com. Colombo Telegraph. 6 March 2018. Retrieved 7 March 2018. ^ Jump up to:a b c d "Sri Lanka blocks social media as anti-Muslim rioting flares". abcnews.com. ABC News. 7 March 2018. Retrieved 7 March 2018. Jump up^ Safi, Michael; Perera, Amantha (7 March 2018). "Sri Lanka blocks social media as deadly violence continues". theguardian.com. The Guardian UK. Retrieved 7 March 2018. Jump up^ "Truth relating to 'sterilization pills'". Hiru News. Retrieved 2018-03-06. Jump up^ "Ampara situation has been under control". Dailynews.lk. Retrieved 2018-03-07. Jump up^ "Curfew imposed in Sri Lanka hill capital after Sinhala - Muslim clashes flare". colombopage.com. ColomboPage. 5 March 2018. Retrieved 6 March 2018. Jump up^ "Govt. to declare State of Emergency for 10 days". dailymirror.lk. Daily Mirror. 6 March 2018. Retrieved 6 March 2018. Jump up^ "IGP dispatches CID team to Digana". adaderana.lk. Ada Derana. 6 March 2018. Retrieved 6 March 2018. Jump up^ "Kandy riots: Buddhist community stages protest". afternoonvoice.com. Afternoon Voice. 6 March 2018. Retrieved 6 March 2018. 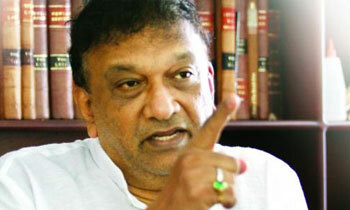 Jump up^ "JVP suspects violence in Kandy part of an organised plan". colombogazette.com. Colombo Gazette. Retrieved 6 March 2018. Jump up^ "BBS says it is being unfairly accused of links to violence". thesundayleader.lk. The Sunday Leader. 6 March 2018. Retrieved 6 March 2018. ^ Jump up to:a b Ariff, Yusuf (7 March 2018). "TRC instructs to slow internet speeds in Kandy". adaderana.lk. Ada Derana. Retrieved 7 March 2018. Jump up^ "Sri Lanka imposes curfew in riot-hit town, blocks social media". economynext.com. EconomyNext. Retrieved 7 March 2018. ^ Jump up to:a b c "Turkey voices concern over anti-Muslim rioting in Sri Lanka". Daily Sabah. Andalou Agency. 7 March 2018. Retrieved 7 March 2018. Jump up^ "Stand together, be wise: Cricket legends request". Retrieved 2018-03-07. Jump up^ "US, UK, Aus. issue travel advisories on SL". dailymirror.lk. Daily Mirror. 7 March 2018. Retrieved 7 March 2018. Jump up^ "Senior UN official to visit Sri Lanka after anti-Muslim riots". france24.com. France24. 6 March 2018. Retrieved 7 March 2018. Jump up^ "Nidahas Trophy to remain unaffected despite emergency in SL". Cricbuzz. Retrieved 7 March 2018. Jump up^ "2018 Nidahas Trophy set to commence despite state of emergency in Sri Lanka". TimesNow. Retrieved 7 March 2018. Jump up^ "Nidahas Trophy on track in Colombo despite Sri Lanka emergency - Times of India". The Times of India. Retrieved 7 March 2018. Police in Sri Lanka have used tear gas to disperse Buddhist rioters in the city of Kandy, who have been attacking mosques and Muslim-owned businesses. They are defying a curfew imposed after a Buddhist youth died during an altercation with a group of Muslims. The Sri Lankan government says more troops have been deployed to the central district of Kandy, to try to end days of violence against Muslims. Police used tear gas to disperse Buddhist rioters who have attacked mosques and Muslim-owned businesses. A state of emergency has been imposed and the curfew extended, and authorities are blocking social media. The authorities had feared retaliation after a young Muslim man's body was found in a burnt-out building in Kandy on Tuesday. Fresh clashes between mobs from the majority Sinhalese and minority Muslim communities erupted in several areas overnight, and a number of properties were set on fire. On Wednesday, there were reports that a Sinhalese man had died when a hand grenade he was carrying went off in a Kandy district. Police leave has been cancelled and "the army has been deployed in tens and thousands" in the scenic hilly area, said government spokesman Rajitha Senarathane. President Maithripala Sirisena toured Kandy on Wednesday, saying he had "ordered that the full force of the law be used against troublemakers", reported AFP news agency. No one in Sri Lanka can be marginalized or threatened or harmed due to their ethnicity or religion. We are One Country and One people. Love, trust and acceptance should be our common mantra. No place for racism and violence. STOP. Stand together and stand strong. Last week, the eastern town of Ampara also saw anti-Muslim violence over a dispute in a shop. Tensions have been building in Buddhist-majority Sri Lanka since 2012, said to have been fuelled by hard-line Buddhists. Under the state of emergency, the authorities are able to arrest and detain suspects for long periods, and deploy forces where needed. It is the first time in seven years Sri Lanka has imposed the measure. The country was under a state of emergency for nearly three decades when the government fought Tamil rebels in the civil war that ended in 2009. "Access to certain social media sites and messaging platforms will be restricted with immediate effect until further notice," said a statement from Sri Lanka's largest mobile phone provider Dialog. A senior government minister told the BBC that Facebook, WhatsApp and other social platforms were being used to carry hate speech and misinformation aimed at inciting more violence. Schools have been closed and a curfew extended until Thursday evening. Foreign governments have urged their citizens to stay away from large crowds and protests, and warn that there could be more unrest. The UN has urged that immediate action be taken against perpetrators of the violence. What is triggering communal violence in Sri Lanka? A nationwide state of emergency is being enforced in Sri Lanka to prevent attacks on Muslims. Buddhist mobs set fire to homes and businesses, killing a young Muslim. The riots followed the death of a Sinhalese truck driver. The unrest is a repeat of rioting four years ago, and, since then, there has been rising tension between communities. A varied mix of ethnicities and religions make their home on the island, where a 26-year-long civil war ended in 2009. What will it take to end the recurrent religious friction, long-term? මතුව ඇති අර්බුදය හේතුවෙන් රට පසුබෑමට පත්වන බව මල්වතු පාර්ශ්වයේ මහානායක තිබ්බටුවාවේ ශ්‍රී සිද්ධාර්ථ සුමංගල හිමියෝ ප්‍රකාශ කළහ. දේශපාලනික වශයෙන් බෙදීම මෙම නොසන්සුන්කාරී තත්ත්වයට ප්‍රධාන හේතුවක් වී ඇතැයි ජනතා විමුක්ති පෙරමුණේ නායක අනුර කුමාර දිසානායක මහතා සමග උන්වහන්සේ කීහ. අද (7) පෙරවරුවේ මල්වතු මහා විහාරයට පැමිණි ඒ මහතා එම පාර්ශ්වයේ මහානායක හිමියන් බැහැ දැක රටේ මේ වන විට පත්ව ඇති තත්ත්වය පිළිබඳව කරුණු පැහැදිලි කළහ. එහිදී මහානායක හිමියන් හා ජනතා විමුක්ති පෙරමුණේ නායකයා අතර දිගු වේලාවක් සාකච්ඡාව පැවැත්වුණි. මෙවැනි සිද්ධි මෙරට ආර්ථිකයට විශාල වශයෙන් බලපෑමක් එල්ල කරන බවත් ජාතික සමගිය ආරක්ෂා කරගැනීම සමස්ත ජනතාවගේ හා බලධාරීන්ගේ වගකීමක් යැයි උන්වහන්සේ කීහ. මහානායක හිමියන් බැහැ දැකීමෙන් අනතුරුව ඒ මහතා මල්වතු පාර්ශ්වයේ අනුනායක දිඹුල්කුඹුරේ විමලධම්ම හිමියන් බැහැ දැක උන්වහන්සේ සමගද සාකච්ඡා කළහ. අනතුරුව මාධ්‍ය හමුවේ අදහස් පළ කළ අනුර කුමාර දිසානායක මහතා මෙසේ කීය. තිස් වසරක යුද්ධයෙන් බැට කෑ ජනතාව අද කිසිසේත්ම අරගලවලට කැමැති නැහැ. නමුත් යම් දේශපාලනික අවශ්‍යතාවක් මත තමයි ජාතිවාදය උත්සන්න වෙමින් පවතින්නේ. වර්ධනය වෙමින් පවතින ජාතිවාදය ඉතා ඉක්මනින් පරාජය කළ යුතුයි. බලයේ සිටින කණ්ඩායම් බලය ආරක්ෂා කරගැනීම වෙනුවෙන්ද බලය අහිමි වූ පරාජිත කණ්ඩායම් බලය ලබාගැනීම වෙනුවෙන් මේ ජාතිවාදී ක්‍රියාවන් කරනවා. නමුත් ජාතිවාදය මේ සමස්ත ඉතිහාසය තුළදී ජනතාවට ලබා දුන් කිසිදු යහපත් ප්‍රතිඵලයක් නැහැ. ඒ නිසා ජාතිවාදී, වර්ගවාදී ගැටුම් සඳහා කිසිදු උත්තේජනයක් ලබා නොදී සියලු ජනතාව සාමයෙන්, සහෝදරත්වයෙන් ජීවත්වීමට කටයුතු කළ යුතුයි. සිංහල ජනතාවට මෙන්ම දමිළ ජනතාවටද අද කොටියා එපාවෙලා. නමුත් කොටියා අහිමිවීම නිසා තැවුලට පත් ඇතැම් දේශපාලන නායකයන් අප වැනි පක්ෂවලට චෝදනා කරනවා හැර වෙනත් කාර්යයක් කරන්නේ නැහැ. ජනතා විමුක්ති පෙරමුණේ මහනුවර දිස්ත්‍රික් කණ්ඩායම් නායක ගයාන් ජානක හේරත් මහතා ඇතුළු පිරිසක් මේ අවස්ථාවට එක්විය. - මහනුවර පූජාපිටිය ප්‍රදේශයේදී ඊයේ (07 වැනිදා) එල්ල වූ බෝම්බ ප්‍රහාරයකින් පුද්ගලයකු මියගොස්‌ තවත් හය දෙනකු බරපතළ තුවාල ලැබීමත් සමගම මහනුවර දිස්‌ත්‍රික්‌කයට ඊයේ (7 වැනිදා) පෙරවරුවේ සිට අද (8 දා) ප.ව. 4.00 වනතෙක්‌ නැවත ඇඳිරිනීතිය ක්‍රියාත්මක කරන ලදී. මහනුවර, පූජාපිටිය, කටුගස්‌තොට, අකුරණ, අඹතැන්න ප්‍රදේශවල ඊයේ (7 වැනිදා) ඇති වූ කලබලකාරී සිදුවීම්වලින් නිවාස විසි පහක්‌ පමණ ගිනිගෙන විනාශ වූ අතර ආගමික ස්‌ථාන තුනකට ද හානි සිදුකර තිබිණි. මෙම ප්‍රහාරවලට සම්බන්ධ පුද්ගලයන් 66 දෙනකු පොලිසිය මගින් ඊයේ අත්අඩංගුවට ගන්නා ලදී. මහනුවර, දිගන, තෙල්දෙණිය ප්‍රදේශවල දින කිහිපයක්‌ තිස්‌සේ පැවැති කලබලකාරී තත්ත්වය ඊයේ පෙරවරුව වන විට පාලනය වී තිබිණි. එහෙත් පූජාපිටිය මුල්ලේගම ප්‍රදේශයේ විහාරස්‌ථානයකට කිසියම් පිරිසක්‌ ගල්මුල් ප්‍රහාර එල්ලකර විනාශ කිරීමත් සමඟම ඊයේ පෙරවරුවේ එම ප්‍රදේශයේ ජනතාව කලහකාරී ලෙස හැසිරෙන්නට පටන් ගෙන ඇත. මෙම පිරිස්‌ පූජාපිටිය වෙලේකඩේ මංසන්ධිය වෙත ගමන් ගනිද්දී ඔවුන් වෙත අත්බෝම්බ ප්‍රහාරයක්‌ එල්ල විය. එම ප්‍රහාරයෙන් පුද්ගලයකු එම ස්‌ථානයේදීම මියගිය අතර තවත් හය දෙනෙක්‌ බරපතළ තුවාල ලැබූහ. එම බෝම්බ ප්‍රහාරය එල්ල කිරීමෙන් පසු අකුරණ, පූජාපිටිය, මුල්ලේගම ප්‍රදේශ නැවතත් උණුසුම් වූ අතර කලහකාරී පිරිස්‌ මාර්ගවල ටයර් පුළුස්‌සමින් ප්‍රකෝපකාරී ලෙස හැසිරෙන්නට පටන් ගෙන ඇත. මෙම ප්‍රදේශයේ ඇතිවූ තත්ත්වය පාලනය කිරීම සඳහා පොලිසිය නැවත ඇඳිරිනීතිය පැනවීමට කටයුතු කරන ලදී. ප්‍රදේශයේ ඇතිවූ කලබලකාරී තත්ත්වය පාලනය කිරීම සඳහා පොලිසිය, විශේෂ කාර්ය බළකාය, යුද හමුදාව, යුද හමුදා විශේෂ බළකාය කැඳවා තිබිණි. මහනුවර ප්‍රදේශයේ ඇතිවී තිබෙන කලබලකාරී තත්ත්වය පාලනය කිරීම සඳහා පොලිස්‌පති පූජිත් ජයසුන්දර මහතා විසින් නියෝජ්‍ය පොලිස්‌පතිවරුන් වන ප්‍රියන්ත වීරසූරිය, ආර්. එල්. රණවීර, රවී පීරිස්‌ යන මහත්වරුන් එම ප්‍රදේශය වෙත පිටත් කර යවා ඇත. ප්‍රදේශයේ ඇති වී තිබෙන තත්ත්වය පාලනය කිරීමට පොලිසියේ සහ ත්‍රිවිධ හමුදාවේ නිලධාරීන් පන්දහසක්‌ පමණ එම ප්‍රදේශ වෙත යෑවීමට කටයුතු කර තිබිණි. මේ අතර අපරාධ පරීක්‍ෂණ දෙපාර්තමේන්තුවේ විශේෂ කණ්‌ඩායමක්‌ද මහනුවර ප්‍රදේශය වෙත ගොස්‌ මෙම කලබලකාරී තත්ත්වය ඇතිකිරීමට කටයුතු කරන පුද්ගලයන් සෙවීමේ විමර්ශන ආරම්භ කළහ. පොලිසිය පවසන්නේ මහනුවර ප්‍රදේශයේ ස්‌ථාන කිහිපයක ඇතිවී තිබෙන මෙම කලබලකාරී තත්ත්වය පිට පළාත්වලින් පැමිණි පුද්ගලයන්ගේ ප්‍රධානත්වයෙන් සිදුකරන බවට තොරතුරු ලැබී ඇති බවයි. තෙල්දෙණිය, අම්බාලේ ප්‍රදේශයේදී ලොරි රථ රියෑදුරකුට පහරදී ඝාතනය කිරීමේ සිද්ධියෙන් පසු මහනුවර දිස්‌ත්‍රික්‌කයේ ස්‌ථාන රැසක ඇතිවූ කලබලවලින් මේ වන විට පුද්ගලයන් සිව් දෙනකු මියගොස්‌ පනහකට ආසන්න පිරිසක්‌ තුවාල ලබා ඇත. වෙළෙඳසල්, නිවාස, ආගමික ස්‌ථාන ඇතුළු ගොඩනැඟිලි සියයකට වැඩි ප්‍රමාණයක්‌ මේ වන විට විනාශයට පත්වී ඇති අතර මෙම කලබලකාරී තත්ත්වයන්ට සම්බන්ධ පුද්ගලයෝ සියයකට වැඩි පිරිසක්‌ මේ වන විට අත්අඩංගුවට ගෙන සිටිති. මහනුවර නගරයේ තත්ත්වය ඉතාම සාමකාමීව පැවතුණු අතර මෙම කලබලකාරී තත්ත්වයක්‌ ඇතිවී තිබුණේ මහනුවරට නුදුරු ප්‍රදේශවලදීය. මහනුවර නගරයටද විශේෂ ආරක්‍ෂාවක්‌ ලබාදීමට පොලිසිය කටයුතු කර ඇත. ජාතිවාදය පතුරුවමින් කලබලකාරී තත්ත්වයන් ඇති කරන ඕනෑම පුද්ගලයකු තරාතිරම නොබලා අත්අඩංගුවට ගෙන එම පුද්ගලයන්ට එරෙහිව දැඩිව නීතිය ක්‍රියාත්මක කිරීමට පොලිස්‌පති පූජිත් ජයසුන්දර මහතා විසින් මහනුවර ප්‍රදේශයේ ජ්‍යෙෂ්ඨ පොලිස්‌ නිලධාරීන්ට නියෝග කර තිබේ. මහනුවර දිස්ත්‍රික්කයේ මතුව ඇති තත්ත්වය පිළිබඳ විශේෂ සාකච්ඡාවක් ජනාධිපති මෛත්‍රිපාල සිරිසේන මහතාගේ ප්‍රධානත්වයෙන් අද පස්වරුවේ මහනුවර ජනාධිපති මන්දිරයේදී පැවැත්විණ. මේ අවස්ථාවට මල්වතු, අස්ගිරි උභය පාර්ශව නියෝජනය කරමින් අනුනායක ස්වාමින් වහන්සේලා ප්‍රමුඛ මහා සංඝරත්නය හා මුස්ලිම් මව්ලවිතුමාලා ඇතුළු අන්‍යාගාමික නායකයෝ, මැති ඇමතිවරු, රාජ්‍ය නිලධාරීහු සහ ආරක්ෂක අංශ ප්‍රධානීහු ද එක්ව සිටියහ. එහිදී ජනාධිපතිවරයා මෙලෙස අදහස් පළ කළේ ය. “අද දවස වන විට මහනුවර දිස්ත්‍රික්කයේත් ඉන්පිටස්තර ප්‍රදේශවලත් ඇති වී තිබෙන අපේ ජාතික සමගිය බිද වැටීමේ අපේ ගැටුම් සහගත අවසනාවන්ත තත්වය සම්බන්ධයෙන් අපේ අනුනානයක හාමුදුරුවනේ රජය විදිහට මීට දින තුනක සිට රජය පැත්තෙන් ගන්න පුලුවන් සෑම ක්‍රියාමාර්ගයක්ම ගත්තා කියලා කියන්න පුුලුවන්. ඉදිරි ක්‍රියාමාර්ග සම්බන්ධයෙන් ගෞරවනීය පුජනීය මහා සංඝරත්නය විසින් විශේෂයෙන්ම මහනුවර ප්‍රදේශය තුල වැඩවසන ඔබවහන්සේලාගේ අනුශාසාන අවවාද මහනුවර ප්‍රදේශයට විතරක් නෙවේ. අපිට රට වශයෙන්ම වැදගත් වෙනවා. වික්‍රමසිංහ මහතා විසින් විශේෂ ප්‍රකාශයක් නිකුත් කර තිබේ. එය සම්පූර්ණයෙන් මෙසේය..
කළා. මේ වන විට රටපුරා හදිසි නීතිය පනවා තිබෙනවා. ඇඳිරි නීතිය අද උදෑසන 6.00 ට ඉවත් කළා. දිස්ත්‍රික්කයේ අනෙකුත් ප්‍රදේශවල නීතිය හා සාමය ක්‍රියාත්මක වෙනවා. ඇඳිරි නීතිය පැනවීමට කටයුතු කර තිබෙනවා. නොමැති බව මම ප්‍රකාශ කරනවා. ආකාරයක නොසන්සුන් තත්ත්වයක් පාලනය කිරීමට සුදානමින් සිටින ලෙස ඔවුන්ට උපදෙස් ලබා දී තිබෙනවා. වැඩිපුර හමුදා භට පිරිස් මෙම ප්‍රදේශවලට පිටත් කොට තිබෙනවා. මැඩ පැවැත්වීම සඳහා සමාජ මාධ්‍ය ජාලා තාවකාලිකව අවහිර කොට තිබෙනවා. නීතිය හා සාමය ආරක්ෂා කිරීම සඳහා උපරිම සහයෝගය ලබා දෙන ලෙස සියලුම ජනතාවගෙන් ඉල්ලා සිටිනවා. වගකීමෙන් යුතුව කටයුතු කරන ලෙස මා මහජනතාවගෙන් ඉල්ලා සිටිනවා. සිටින්නේ මේ උණුසුම්කාරී තත්ත්වය පාලනය කොට සුරක්ෂිත වටපිටාවක් තහවුරු කිරීම සඳහා ඔබගේ උපරිම සහාය ලබා දෙන ලෙසයි. ජාතිවාදය හා ආගම්වාදය දඩමීමා කරගනිමින් කඩාකප්පල්කාරී ක්‍රීයාවන්හි නිරතවන්නන් පිළිබඳ තොරතුරු ලබා ගැනීම සඳහා පැය 24 පුරාම ක්‍රීයාත්මක සහාය සේවා මධ්‍යස්ථානයක් පිහිටුවා තිබෙන බව රජයේ ප්‍රවෘත්ති දෙපාර්තුමේන්තුව නිවේදනයක් නිකුත් කරමින් සඳහන් කරයි. රජයේ ප්‍රවෘත්ති අධ්‍යෂ ජනරාල් සුදර්ශන ගුණවර්ධන මහතා නිකුත් කර ඇති එම නිවේදනයේ මෙසේද සඳහන් වේ. ‘‘රට තුළ උද්ගතව ඇති අර්බුදකාරී තත්ත්වය පාලනය කීරිමට ගතයුතු සියලු පියවර මේ වන විට රජය විසින් ක්‍රියාත්මක කර ඇත. එසේ වුවද ඇතැම් අවස්ථාවලදී පිරිස විසින් ජාතිවාදය හා ආගම්වාදය දඩමීමා කර ගනිමින් කඩාකප්පල්කාරී ක්‍රීයාවන් හී නිරත වීමට කටයුතු කරමින් සිටින බවද ආරක්ෂක අංශ වෙත තොරතුරු වාර්තා වී ඇත. මෙවැනි කඩාකප්පල්කාරී ක්‍රියාවන්හී නිරතවන හා එවැනි ක්‍රීයාවන් සැලසුම් කරන පුද්ගලයන් හෝ පුද්ගල කණ්ඩායම් පිළිබඳ තොරතුරු ලබාගැනීමටත් එම ක්‍රීයාවන් ක්ෂණිකව මැඩ පැවැත්වීම සඳහා අවශ්‍ය පියවර ගැනීම සඳහාත් සහය සේවා මධ්‍යස්ථානයක් ආරම්භ කර ඇත. House Leader Lakshman Kiriella today said that a resolution should be brought in parliament and Buddhists should apologise to the Muslims in connection with the violence in Digana and Teldeniya. He told parliament that the state intelligence services had collapsed resulting in the violence in Digana and Teldeniya. "This situation was created by some outsiders. Police were aware about the people who came there from other areas. Even we got to know about them. But the police higher-ups were kept in the dark about the impending violence," the minister said. He said Buddhist and Muslim Religious leaders in the area had agreed to settle the matter amicably while businessmen of both communities had agreed to pay compensation to the victimised families but some people who had arrived from other areas had provoked the people and this led to a communal clash. 131. Allaahumma munzilal-kitaabi, saree'al-hisaabi, ihzimil-'ahzaaba, Allaahumma ihzimhum wa zalzilhum. Allah, Revealer of the Book, Swift to account , defeat the groups (of disbelievers) . O Allah , defeat them and shake them. තරුණයෙකු මෙසේ මිය ගොස් ඇති අතර මළ සිරුර සම්බන්ධයෙන් මහේස්ත‍්‍රාත් පරීක්‍ෂණ පැවැත්වෙයි. මේ අතර ඊයේ සිදුවීම සම්බන්ධයෙන් පරීක්ෂණ ආරම්භ කිරීමට රහස් පොලිස් නිලධාරීන් කණ්ඩායමක් එම ප‍්‍රදේශයට යවා ඇත.මේ වන විට දිගන යළි ඇදිරි නීතිය සහ රට තුළ හදිසි තත්වයක් ප්‍රකාශයට පත් කර ඇත. රට තුළ හදිසි නිතිය දින 10කට පැනවීමට කැබිනට් මණ්ඩලය තීරණය කළ බව රජයේ සම කැබිනට් ප්‍රකාශක ඇමැති දයාසිරි ජයසේකර මහතා පැවසීය. අදාල ගැසට් නිවේදනය අද (6) නිකුත් කෙරෙන බවද ඔහු කීවේය. තෙල්දෙනිය හා අම්පාර සිද්ධි පදනම් කර ගනිමින් කලකෝලාහල තත්ත්වයක් ඇතිවිය හැකි බැවින් මෙම තීරණය ගත් බව ඇමැති දයාසිරි ජයසේකර මහතා සඳහන් කළේය. මේ අතර රට තුළ ජාතිවාදය ඇතිවන ආකාරයෙන් වෙබ් අඩවි ඔස්සේ ගෙන යන වැරදි ප්‍රකාශයන් සම්බන්ධයෙන් පියවර ගැනීමටද කැබිනට් මණ්ඩලයේ දී සාකච්ඡා වු බව ඔහු කීවේය.